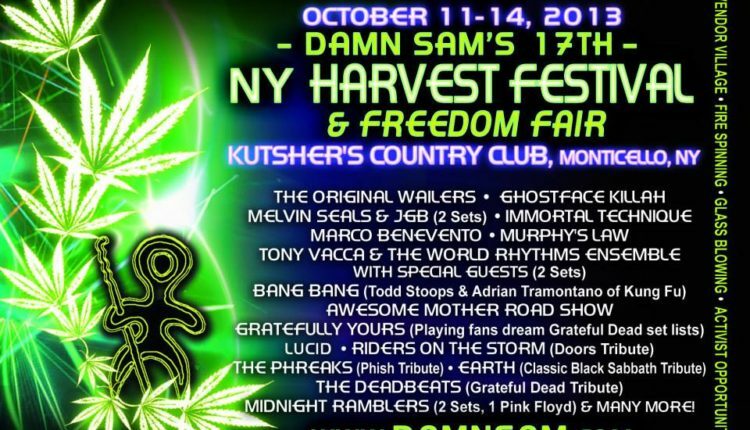 The 17th annual New York Harvest Festival and Freedom Fair will once again return to Kutsher’s Country Club in Moticello, New York on October 11-14. The Northeast classic will host five stages, 35 musical acts and entertainers, political speakers, lights shows, a vendor village, fire spinning, glass blowing, activist opportunities and a whole lot of good vibes. Damn Sam has been politically active for years in the movement to bring medical marijuana legalization to the state legislature. Senate bill 4406 and Assembly bill 6357 will regulate regulate medical marijuana and provide New York patients with safe access to the medicine they need. The main goal is to educate and motivate law makers and citizens of New York state to enact laws that protect the interests of those involved in the uses, production and distribution of Cannabis hemp. 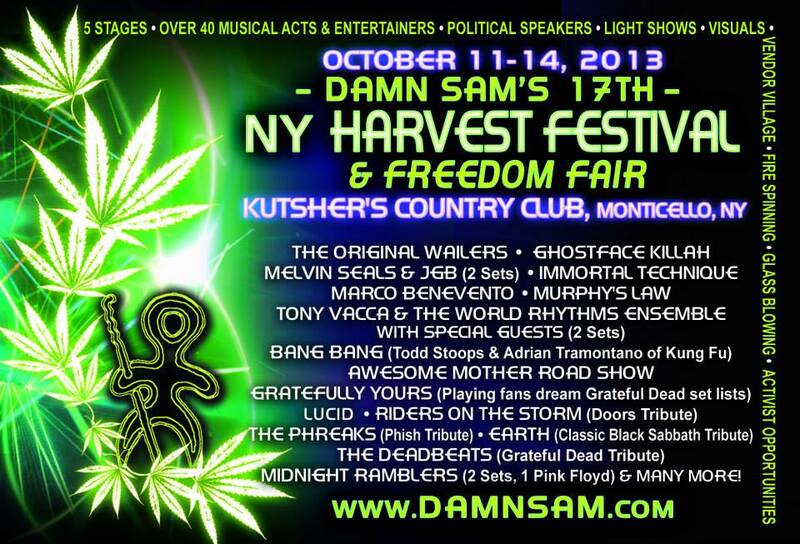 This year’s Harvest Festival is stacked so you definitely do not ant to miss out, grab your tickets today! Jenni Wilson is a writer, painter, promoter and recent college graduate living in Albany, New York. Jenni attended the University at Albany with a focus on Women's Studies and Communication surrounding media, art and justice. Jenni is the part owner of the Albany promotion company Zen Rose Productions booking shows locally within the jam and electronic music scene.